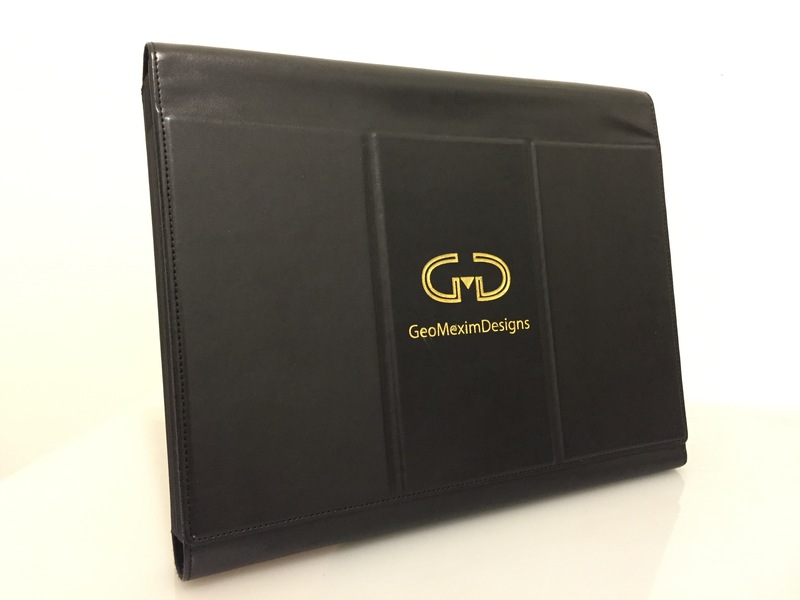 This leather case was custom engraved with client logo and contact information. In essence case became a big business card. This was a real leather so we used CO2 laser machine to make a recess channel and print custom logo then we in filled channel with gold paint to make case very upscale looking. 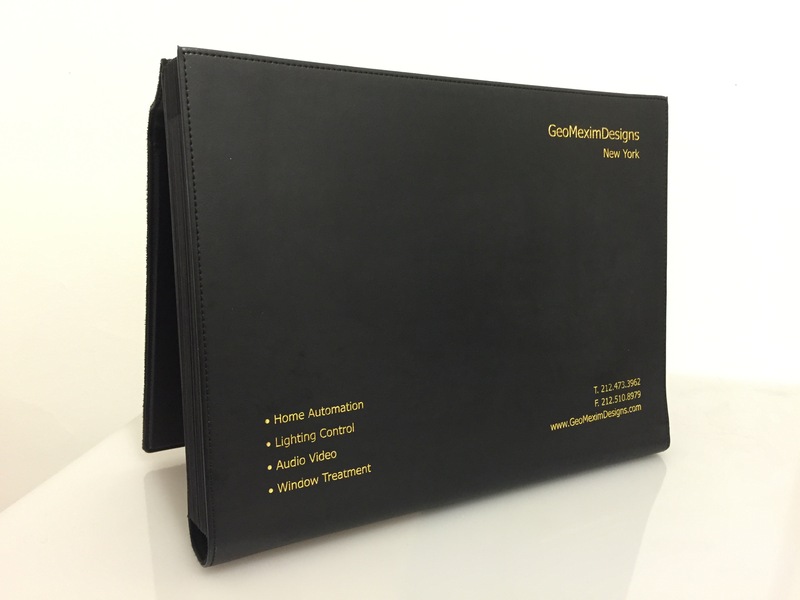 At the end we good very nicely branded presentation case.